Out with the immediate family, teachers or other educational professionals may be the first to notice signs of someone with an eating disorder. It is imperative in the first instance to check the local policy on workplace disclosure/guideline on expressing concern directly to a student. This is particularly important when working with those under the age of 18. Some schools may have a list of those pupils with known mental health problems that are already being addressed and so no further action is necessary. If the workplace policy/ procedure allows for the professional to express concern directly, there is a useful guide to how to do so below. It has been developed by Professor Janet Treasure ( an eminent Psychiatrist in the field of Eating Disorders ) and her team at Kings College London. Make a list of signs that you have observed that make you think your child or friend has an eating disorder (see signs of an eating disorder page). Teachers and lecturers have a role to play too and should take any initial suspicions they have seriously. Show concerns but focus chats away from food issues. Look at the wider picture: friends, family life, bullying, academic work. If the situation continues to deteriorate, tell the individual of your great concern and gain consent to involve their parents. At home too, they may have been aware of difficulties. Occasionally, confidentiality may have to be breached regardless of an individual student’s wishes. 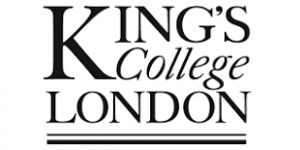 This material is bound by copyright laws pertaining to the Kings college London website and should not be reproduced, altered or shared without permissions. If you wish to use for personal use please click to on the source link. Source http://www.kcl.ac.uk/ioppn/depts/pm/research/eatingdisorders/help.aspx Copyright permissions granted.